I-BiDaaS project is sponsoring the 5th Network and Information Security (NIS'18) Summer School, taking place in Crete, Greece, 24 September - 28 September 2018. 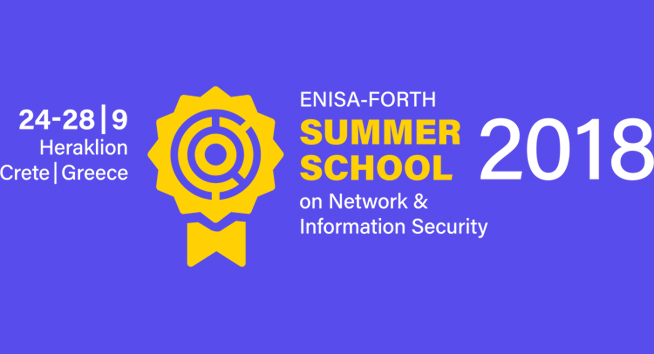 This event, having a different "special theme" every year, is jointly organised by the European Union Agency for Network and Information Security (ENISA) and the Foundation for Research and Technology - Hellas (FORTH). Come and meet I-BiDaaS team and let leading researchers and practitioners from academia and industry present how I-BiDaaS tools and services can contribute to EU's vision of " Changing Risk Landscape ". The Changing Risk Landscape refers to the dynamics, dependencies and complexity inherent to Information Technology. The changing security “ecosystem” is the one of the main challenges of Information Security. The relevant community needs to speed-up reaction, collaboration and information exchange in order to achieve timely and effective response to the challenges involved. In this context, I-BiDaaS solution offers cross-sectorial exchange of information by breaking data silos across Europe.